Thought we had hit peak ironic ugly Christmas sweater already? 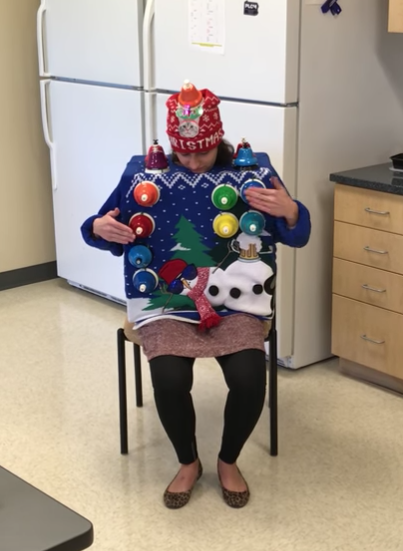 Well, take a moment to watch this video where this winner of some workplace "Ugly Christmas sweater contest" is shown playing "Carol of the Bells" on her winning entry. Game over, folks. Time to go home.